If you love someone, set them free. 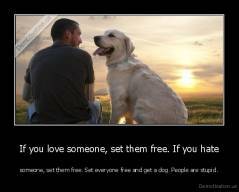 If you hate - someone, set them free. Set everyone free and get a dog. People are stupid.